It’s been a while. Sorry for that. The times have been rough for all of us. But, remember, we have been here already in the past. Even though the price ticker might make you nervous, hopefully, what will you find below should calm you a bit. Judge for yourself. Nonetheless, wisdoms from the holy book are always helpful. – Lightning Network finally on the main net! – New version of Bitcoin Core. – A new debate on consensus algorithm change starts to heat up the atmosphere in the Bitcoin community. – You probably did not know, but chances are someone will steal Satoshi’s coins once. – Another BTC fork has arrived. – Researchers examined costs of mining accros the globe. – What excites the Bitcoin devs? – Once again, a nice piece on MASTs. – What could Bulletproofs do in Bitcoin? – Nice talk on how to put a prediction market as a sidechain on Bitcoin. – And a bit more on sidechains. – Ivy — the smart contract language for Bitcoin. – Vitalik presented a big thing! – What implications will have OmiseGo and Plasma on the Ethereum network? – MyCrypto launched their Beta! – Now you can play also pogs on Ethereum. – An overview of developments in the Dapp world. – Toshi wallet now supports ERC20 and ERC721 tokens! – And how to make sense of it. – Another piece on theory of crypto asset valuations. This canvas might help too. – And another attempt for asset classification. – An illustration of IOTA’s Tangle. – Tezos prepares for a launch soon. – Litecoin Cash on the horizon. – How to Airgap your machine so no one can steal your coins. – Swedes are getting ready to transact real estate properties on Blockchain. – Binance was hacked but no coins were stolen. Just pumped. – Coinbase has been having some rough time recently. – Inter-blockchain Communication protocol – how it will work? – Germany decided to not tax crypto purchases. – European Union released new statements on crypto. – Austrians suggest Pan-EU regulations. – Turkey and Iran plan to launch their own coins. – Switzerland released new classification of crypto tokens. – The guide to tokenized securities. I will be always happy to read your feedback, and suggestions on possible topics to include to the newsletter. 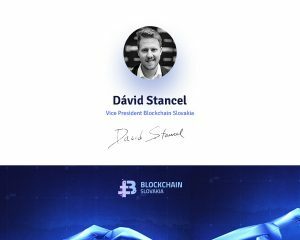 If you would like to share some with me, please do so at stancel@blockchainslovakia.sk.